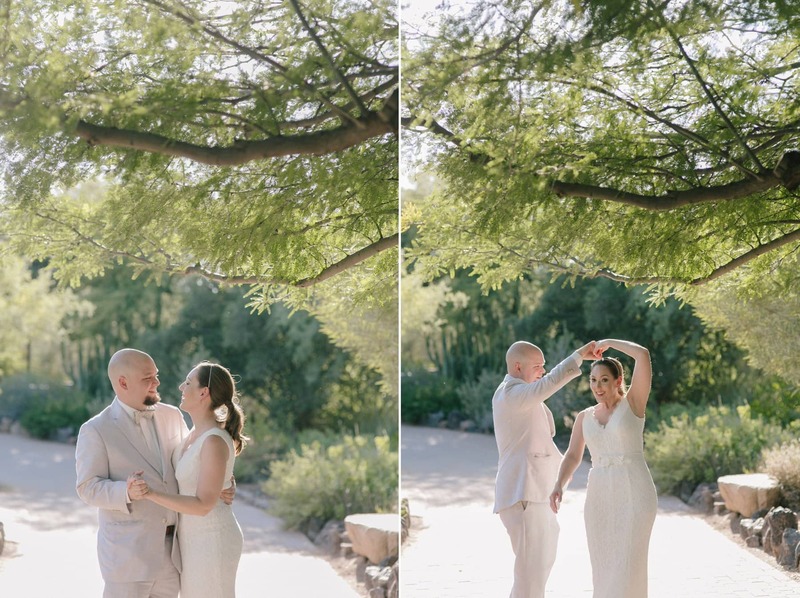 The Desert Botanical Gardens is a lovely space near the Phoenix Zoo. 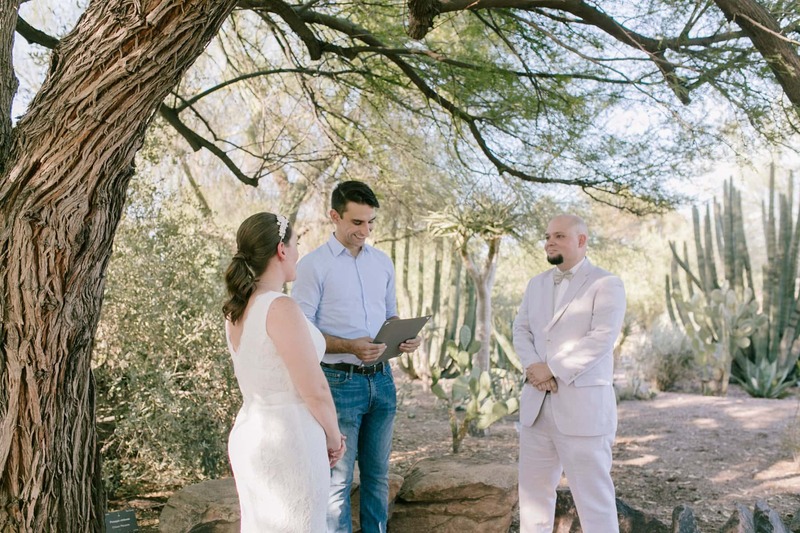 Not only does it host weddings, but you can elope there too! 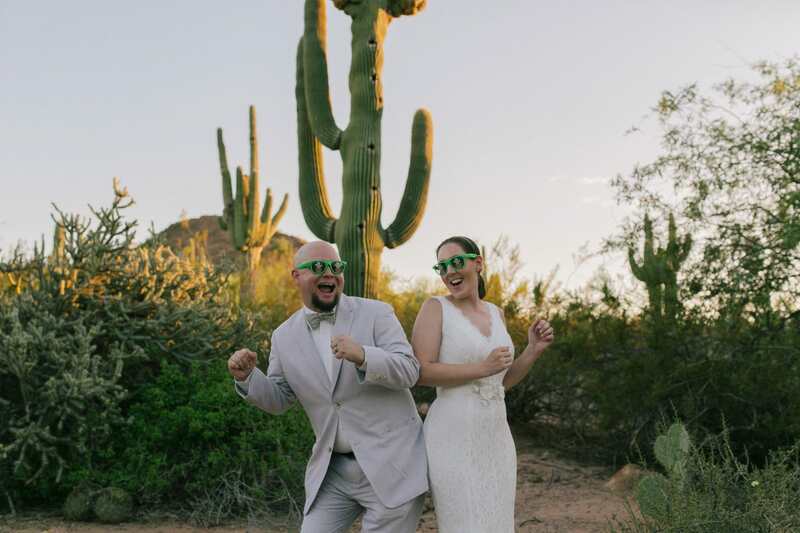 Jackie & Steve decided to elope there in August from back east when they were going to be in town visiting family for a few reasons and what a fantastic place to choose to do so! 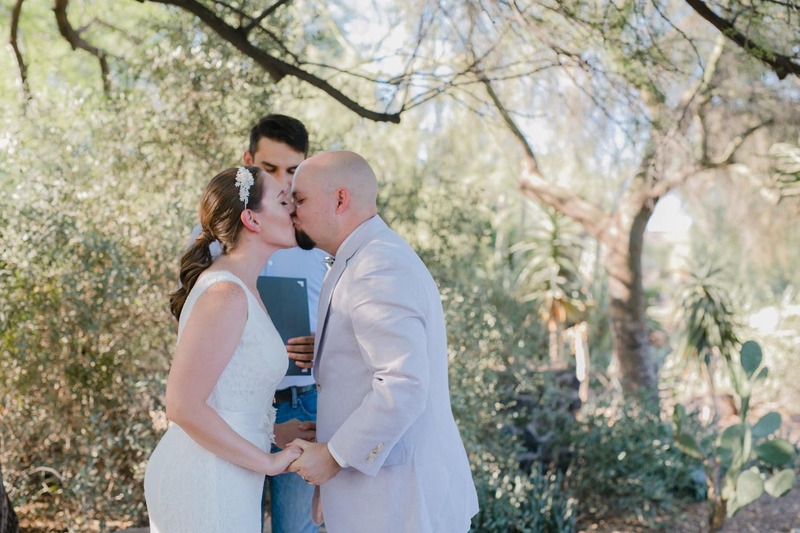 They got married along one of the paths with a handful of their favorite people. 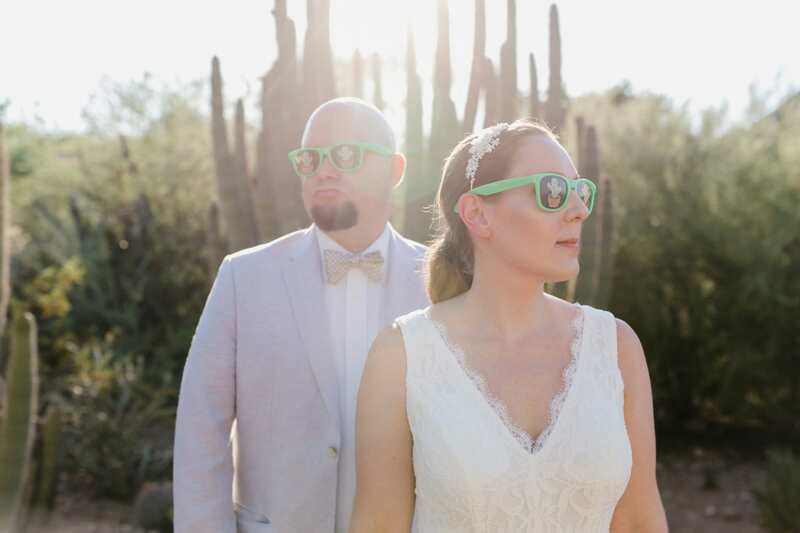 The Desert Botanical Gardens is a beautiful space with all sorts of native plants, cacti and non-native species common to the region. 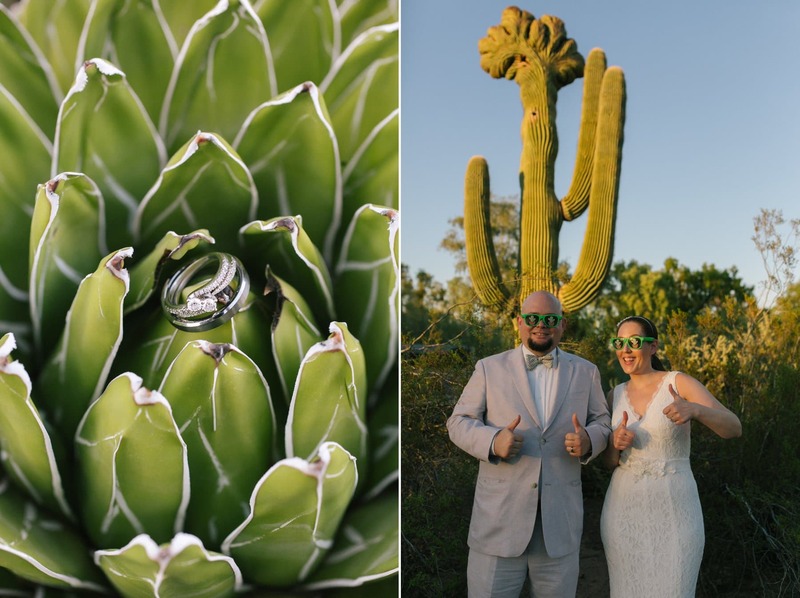 They have a crested saguaro (see towards the end of this post) which is quite rare and caused by a genetic or environmental abnormality, creating the fan-like growth pattern. 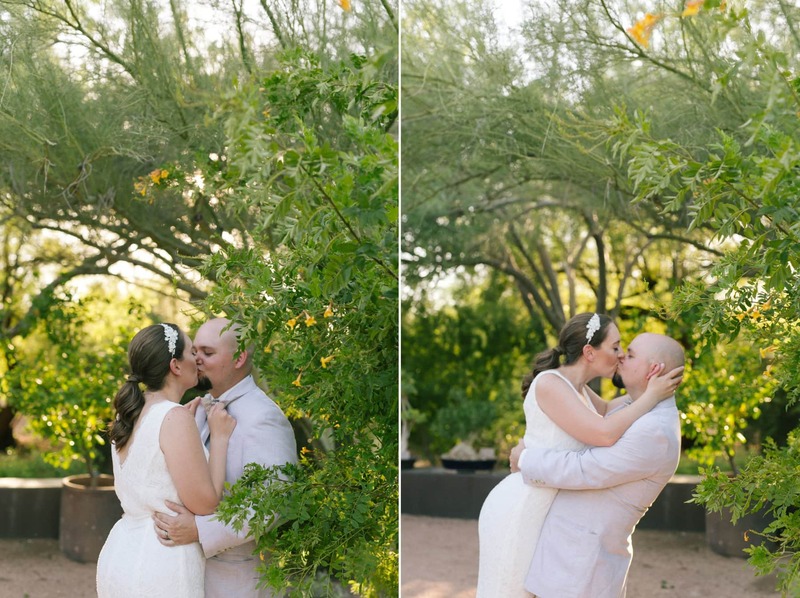 I loved the goofy & lighthearted energy these two had throughout the photos! 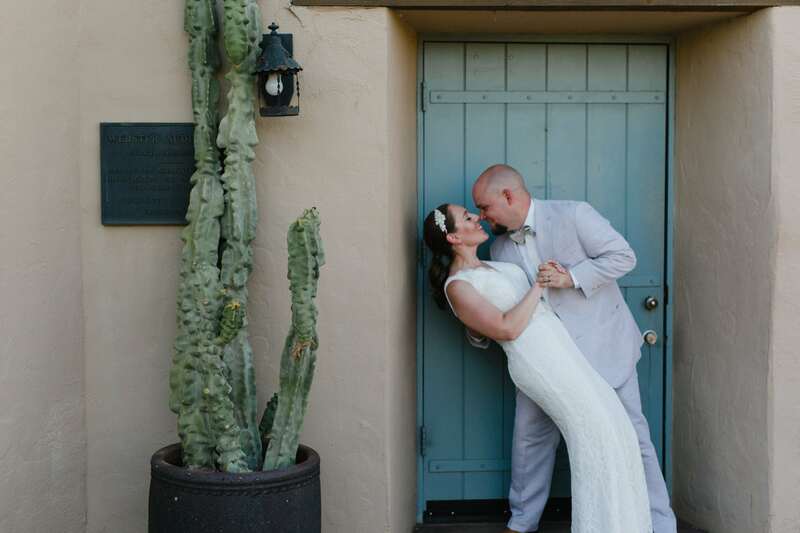 Wedding photos definitely DON’T have to be serious! 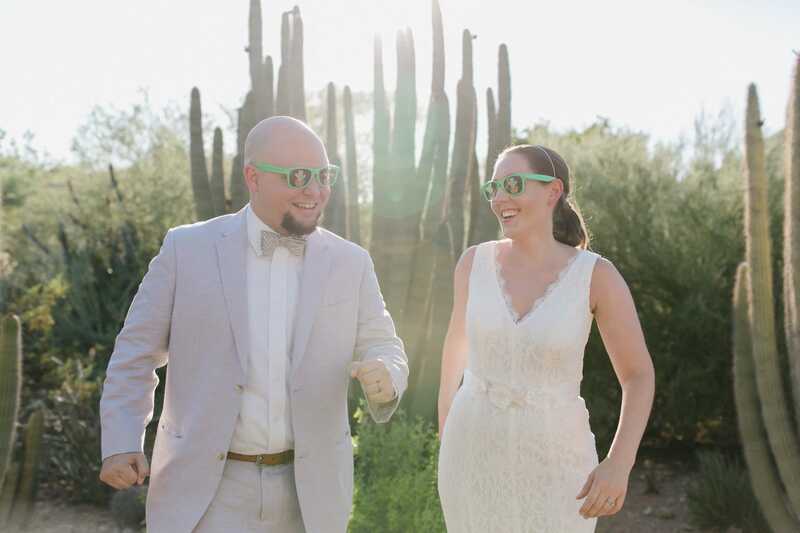 And those cactus glasses are adorable, aren’t they? But I also loved their sweet side. Makes for a great balanced relationship, don’t you think? 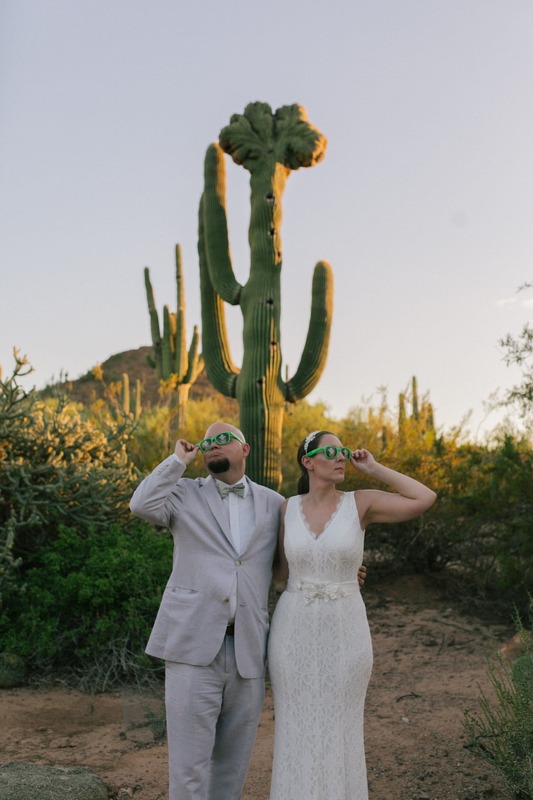 If you haven’t already, check out my Arizona Elopement location guide! 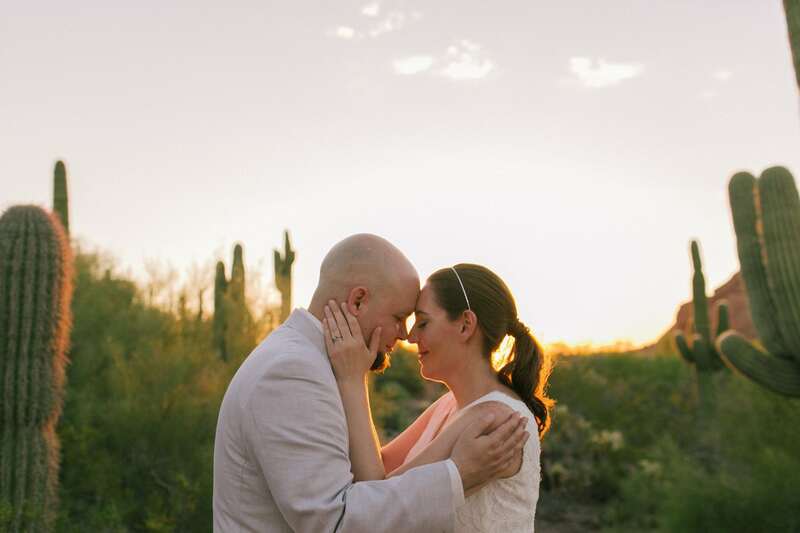 It has all sorts of fantastic outdoor gorgeous locations if you’re thinking about eloping in Arizona. 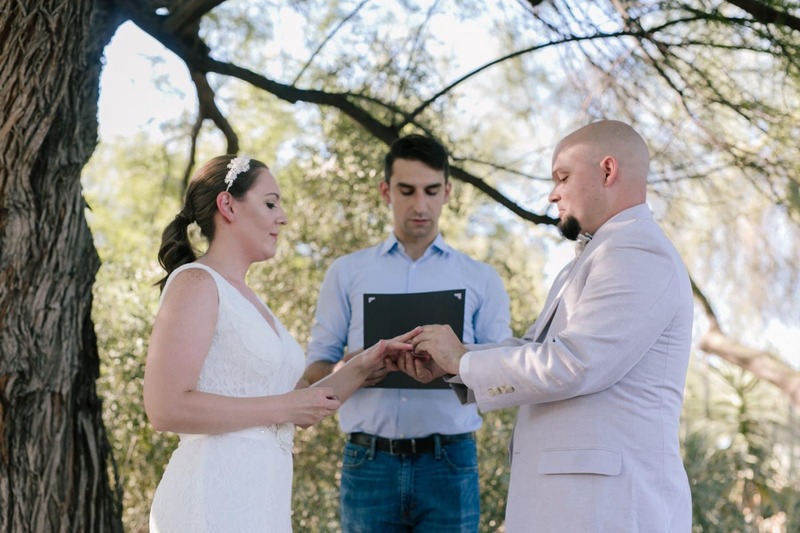 And while you’re on that page, be sure to sign up to get my free Arizona Elopements Guide which has almost everything you need to plan your elopement in Arizona. Arizona seriously has some of the best spots to elope- Sedona, Flagstaff, the Salt River, the Superstition Mountains, Monument Valley, Grand Canyon, Horseshoe Bend, Antelope Canyon- the list goes on & on. 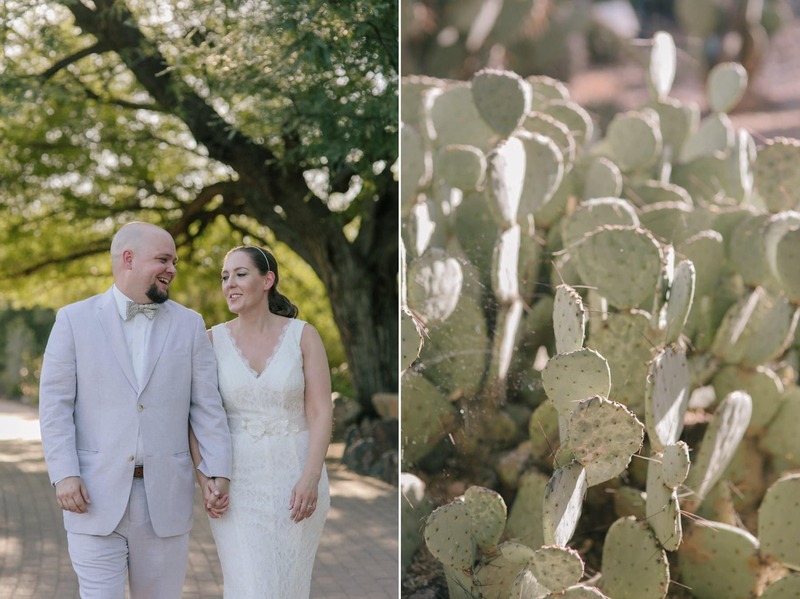 I also LOVE finding new spots like this adventurous elopement near Sunset Point, where the couple found the spot because it was way off the beaten path and probably never had anyone get married there before! 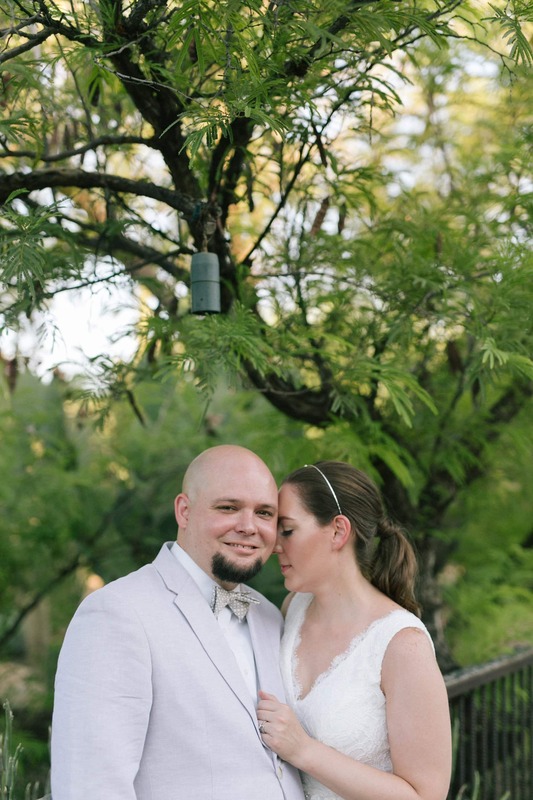 You can see some of my other Arizona elopements I’ve photographed. 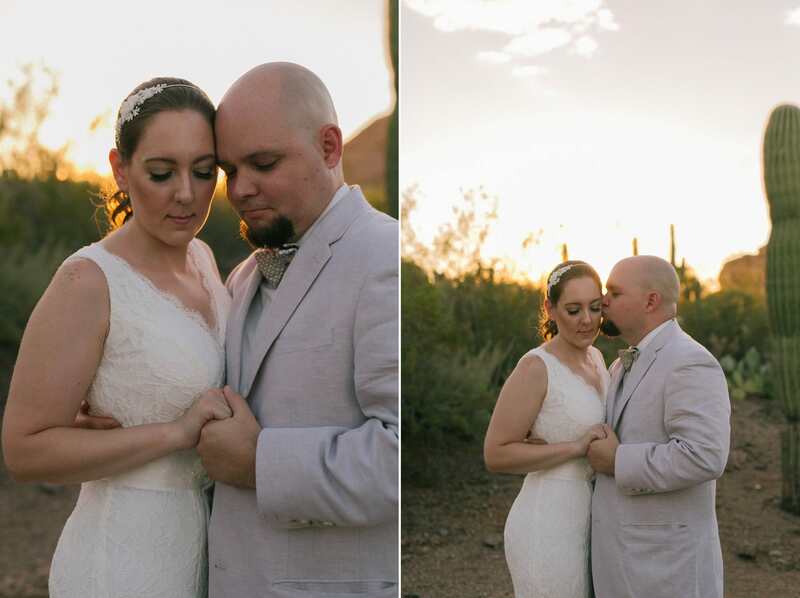 Contact me if you’re looking for an Arizona elopement photographer– I’d love to be your photographer!